Yes, I was invited to attend Reese Witherspoon’s book tour “Whiskey in a Teacup” in New York City. It’s no surprise that famous actress, producer, director Reese Witherspoon and author of “Whiskey in a Teacup” likes wallpaper and pattern. Pattern is everywhere throughout her book and her clothing line. On the cover of her new book “Whiskey in a Teacup“ features a Chinoiserie mural, totally hip for today’s lifestyle decor. The VIP event was held at the Town Hall in New York City. We started off with a cocktail which was whiskey in a tea cup…that was a first for me! Photos were taken with Reese shortly after and then we could shop for items in her pop up shop. At 8pm Reese was interviewed about writing her book and growing up in the south. Reese was casual, funny, charming and totally engaging. All her stories about entertaining, family life and how her grandmother was a big influence was inspiring. I can relate to her entertaining quips as my parents were British so setting a table properly, preparing a home for an event and learning how to make sure guests were well looked after was part of my upbringing as well. I love Reese Witherspoon’s romantic comedies like Legally Blond and her movie “Wild” that she starred in and produced. Reese Witherspoon is extremely smart, beautiful and a positive inspiration to all women. A true powerhouse! 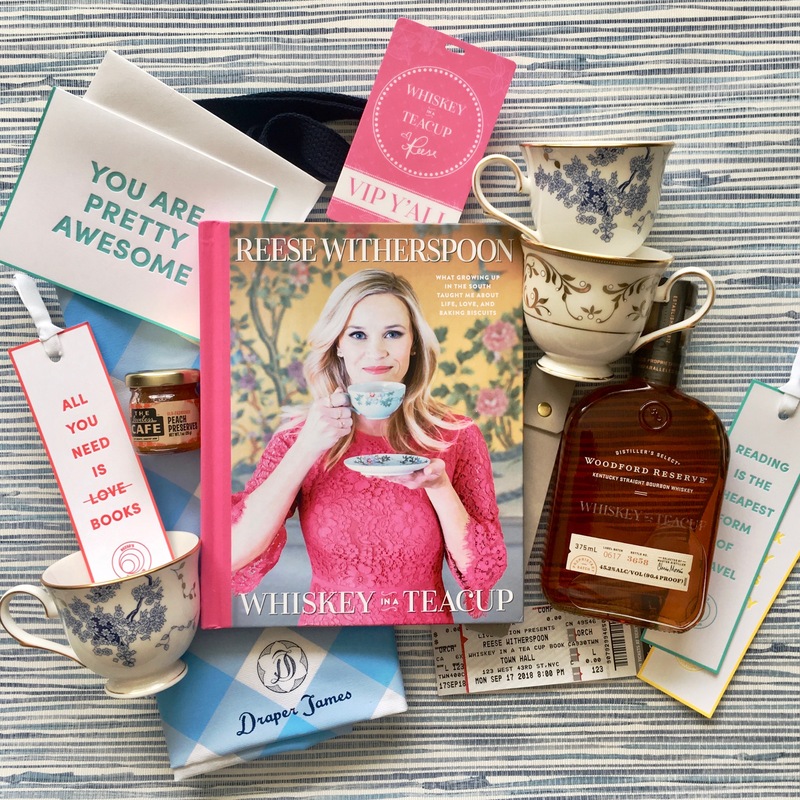 The goody bag in the VIP group included a signed copy of her book ” Whiskey in a Teacup” by Reese as well as Whiskey, jam, book marks, Southern Living Magazine, a card and a discount book mark for shopping on line or in one of her retail shops Draper James. 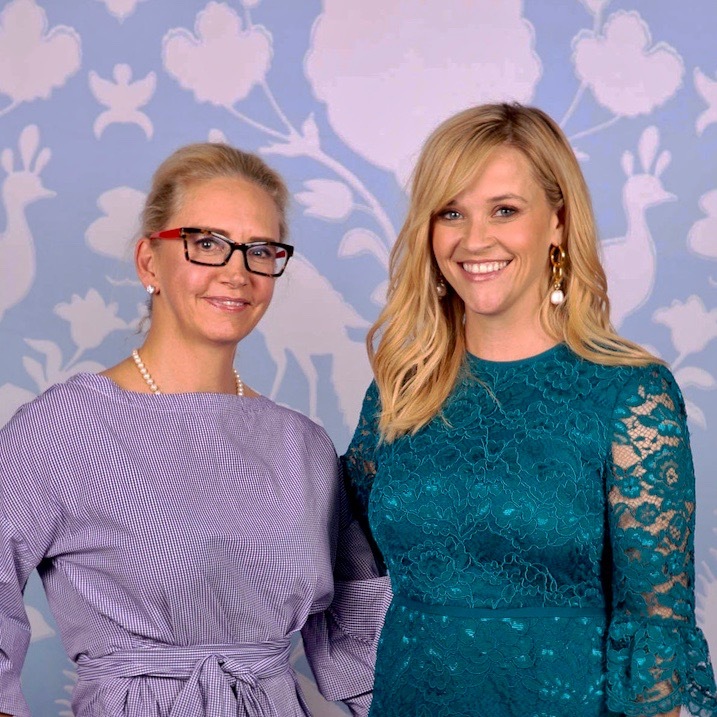 It was fabulous meeting Reese Witherspoon! You must get her book “Whiskey in a Teacup “as it is filled with great stories, recipes for entertaining, decorating ideas and Reese even shares her tips on styling your hair with hot rollers. Yes, I loved that part as I have lots of hair to style! Enjoy!